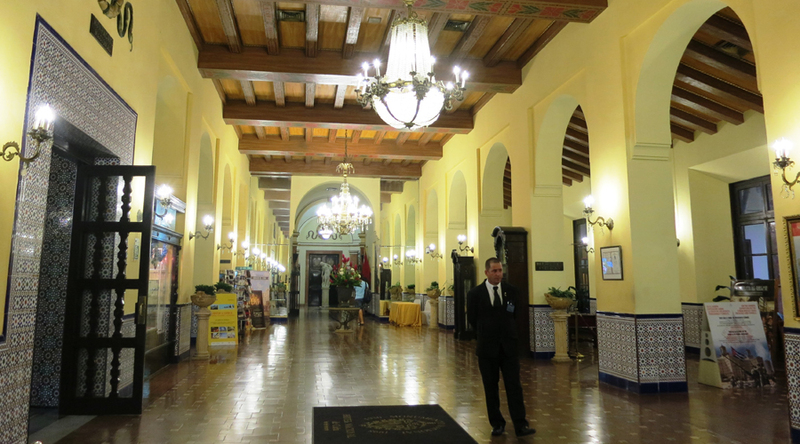 The Hotel Nacional, dating from the Thirties, is the Grande Dame of the city’s hotels. Occupying a commanding position in the primarily residential district of Vedado, on a bluff overlooking overlooking the Malecon and the ocean, the hotel has played host to numerous famous guests, including Churchill, Frank Sinatra and … the Mafia. Check out the dazzling Moorish-tiled lobby then settle down for an aged rum on the alfresco terrace while listening to the Cuban melodies of a live band. It is a large hotel, with 450 rooms, two pools and a large garden. The rooms have been remodelled in golds and maroons and the entire building exudes an air of grandeur. Go for an executive room for an upgraded breakfast.